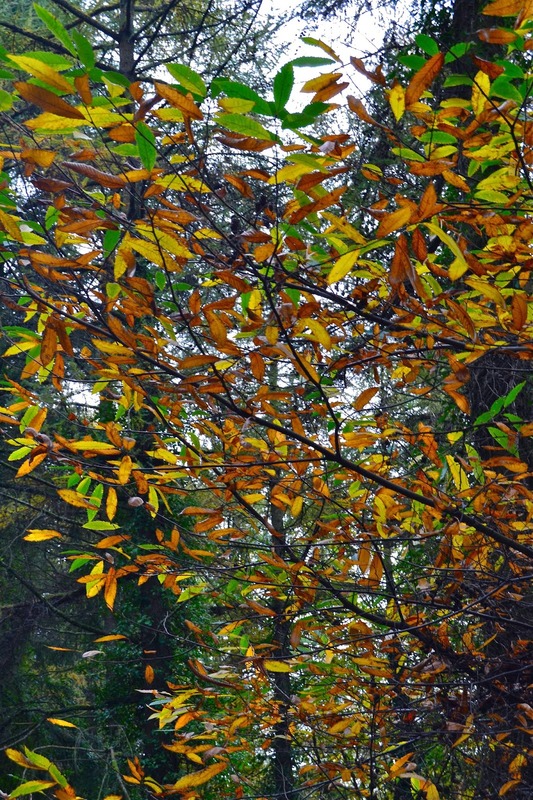 Autumn is my favourite time of year by far. It's just so cozy and everything I love wrapped up into one season. I'm writing this sat on the sofa, with a bowl full of left over Thai sweet potato and carrot soup (so tasty, I recommend it!! ), a blanket keeping my feet warm and the smell of roast pork wafting from the kitchen. I felt like taking Marzie for a walk somewhere different today. 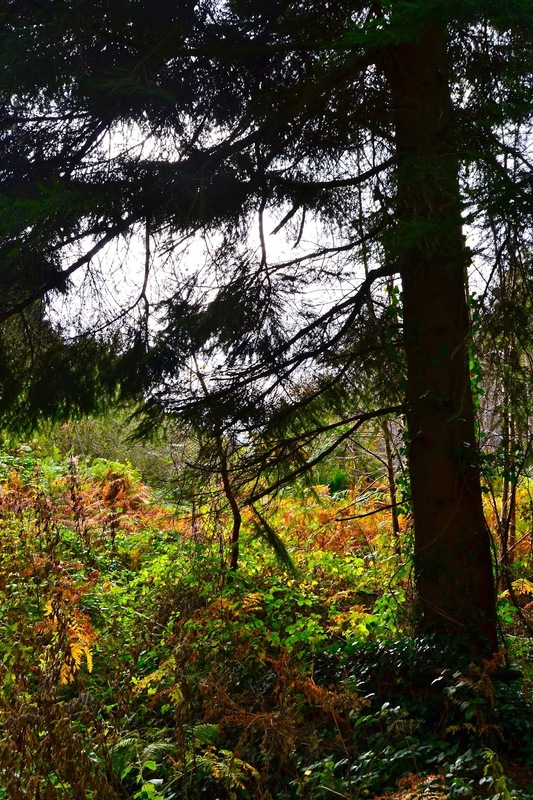 I considered the beach or over to Roath Park but then Mum suggested we go to the forest. 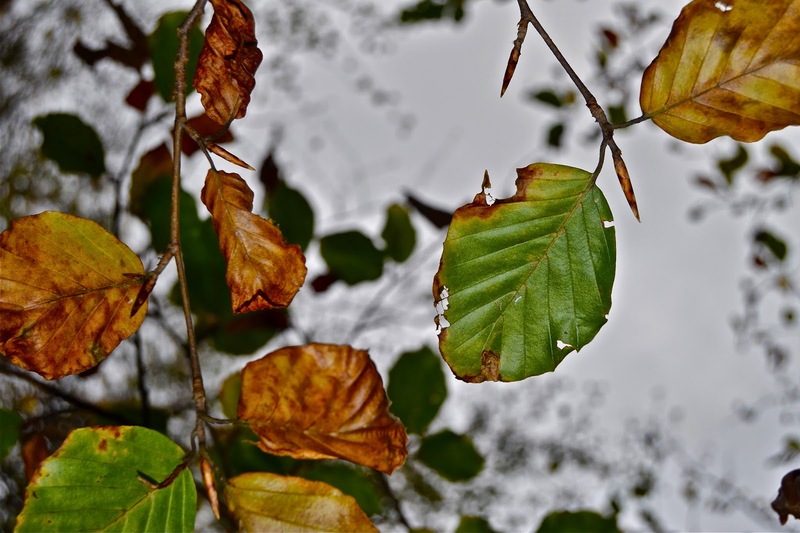 So I pulled on my wellies and grabbed the camera, keen to get a few snaps of autumn. 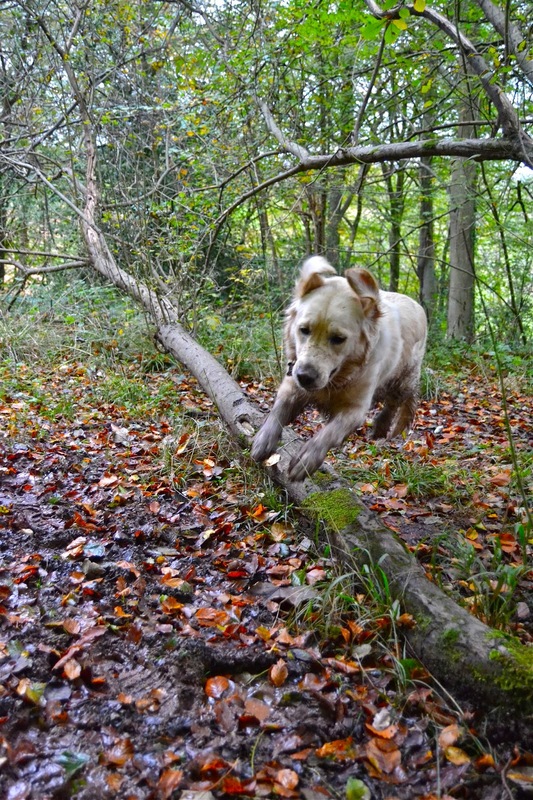 Of course, I ended up with more photos of Marzie than the forest. She especially enjoyed the muddy puddles. Turning her slightly more chocolate than golden coloured. I love days like these. I think I should take Marzie to new places and get out the camera more often. I can't believe its been 5 years since I was running around the UK, attending open days, getting a different prospectus through the door every week and generally getting excited about going away to uni. 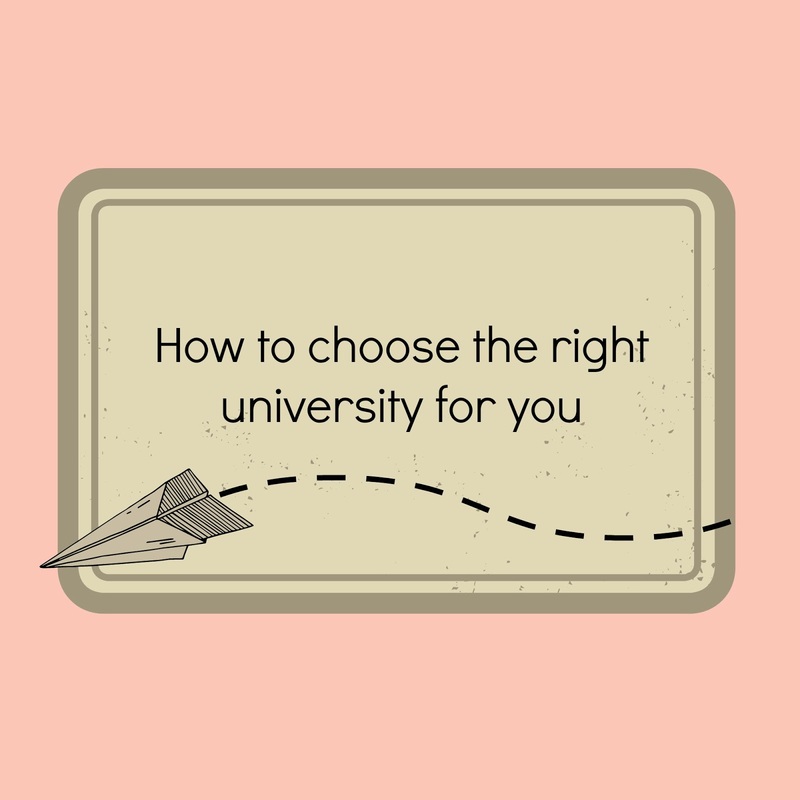 As it's getting to that time of year where you're having to make your choices, I thought I'd give a few tips about choosing the right university for you. 1. Make sure you're genuinely interested in what you're choosing to study - I know this might sound silly, but lots of people study things because they're told they're good at it, or that it's what blah blah blah wants them to study. It's your life, pursue something you're passionate about. It'll really help when the work gets hard. 2. Make sure the course is right for you - Just because one course has the same name as another, it doesn't mean they cover the same things. I studied events management, so as you can imagine some of the courses I saw made me despair. I knew I could quite easily have ended up doing a Mickey Mouse course, folding napkins and blowing up balloons, like everyone expects I have done. However, I chose my course as it was very business based, just the business knowledge was applied to events. Do your research and choose what's right for you. 3. Consider where in the country you want to be - Everyone is different. I have friends who went to uni half an hour away from home, whereas I chose to go 3 hours away. Go where you're comfortable. Personally, I think I benefitted greatly from going to uni so far away. I couldn't just pop home for food, washing or just home comforts whenever I wanted. I not only gained an education, but also more independence and confidence in myself. 4. Travel - On that note, travel is something to keep in mind. It used to take me about 4 hours with at least one change to get home each time on the train and it wasn't cheap. Some people I know used to fly as it was quicker and cheaper. If you're going far away from home, keep this in mind so you're comfortable with how you may have to travel. 5. Go with your gut - As soon as I went to the open day of my university I knew it was the one. I just felt as though I was at home there and everything just seemed to click into place. In contrast, I went to one open day and had only just stepped off the train and knew it wasn't for me. Although the friend I went with chose that as her first choice. Everyone is different. 6. Go to as many open days as you can - The prospectus is going to make it sound the best it can be, take photos of only the most attractive buildings and boast its best facilities. On open days you can visit the building you'll be based in, meet some of your tutors and get a much better feel of the place than you can from paper. 7. 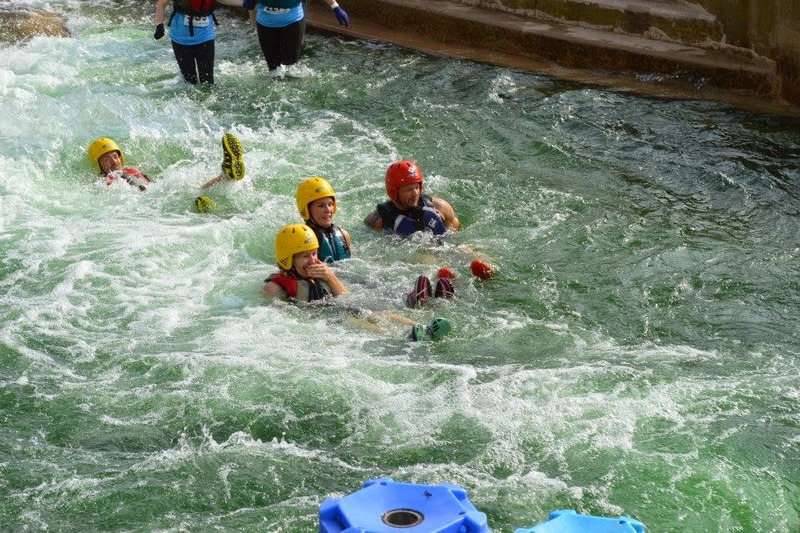 Look at what else the university has to offer - Sports, societies, good events at the union, support if needed. All of these are things you should look at, as they can make your time at uni that little bit better. 8. Consider nightlife - Of course, a large element of university is the nightlife. I went to Sheffield, which has a student population of around 50,000 so there was always something on and people visiting have always said what a good night out it is. If this is something you think you'll get involved in, you might as well consider that aspect of the university too. After all, you don't want to end up going to the university who boast about their once a week bus trip to Asda rather than their great union nights. 9. Stay later - I asked my friends what they thought was a good tip, so I didn't forget anything. Eppie suggested staying after the open day for a meal, so then you can get a feel of the city at night time too. 10. Don't stop there - Once you've registered your interest in your top five to UCAS and start getting offers, attend any applicant open days you get invited too, especially for your first and second choices. You can never ask too many questions to tutors or visit the place you'll be spending some of the best years of your life. Overall, I'd suggest you narrow it down to about 8 universities which you're interested in and go and visit them all. Ask questions, explore and enjoy yourself. You're going to be spending the next 3 or 4 years of your life here, make sure it's the right place for you. 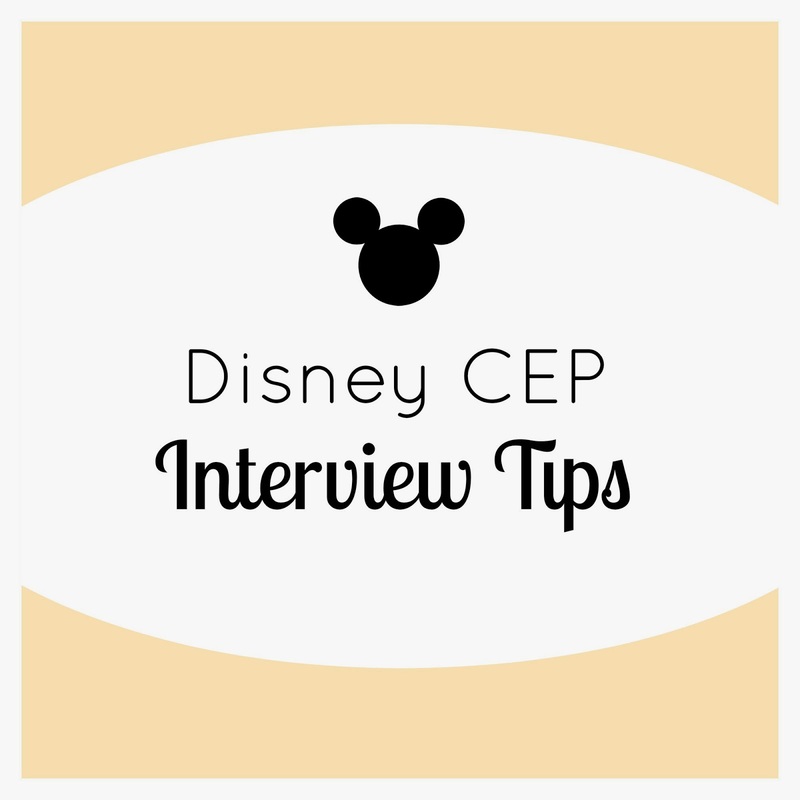 I know it's getting to Disney CEP interview time in the UK, so I thought I'd do a quick blog post on interview tips. Overall this interview is nothing to worry about. Get an idea of what you're going to say in your head, they ask all the typical interview questions. It's never a bad idea to do some research on the roles and past CEP/ICP experiences either. The interview seems like more a chat with a bunch of new people rather than an interview and you'll be in and out in what will seem like 5 minutes. 1. Be polite. This goes without saying for any interview, but especially for group interviews. Make sure you get your point across, but let others get a word in edgeways. 2. Be yourself. Yummy Jobs will be looking for someone who they think will fit in with the rest of the cast members at Walt Disney World and who has the enthusiasm and dedication for the job. They'll ask the standard questions like why you want to work for Disney, what character are you most like and why and what role you want and why. Be honest and be succinct with your answers, whilst getting your personality across. 3. Arrive early. Remember first impressions are everything, so try to not make you sneaking into the back of the presentation their first impression of you. When you get allocated your group interview time, arrive at the room early. Interviews tend to run a bit late but don't count on that. 4. Remember your paperwork. Forgetting your paperwork is just going to make you look unorganised, unprofessional and cause extra work for everyone involved. 5. Be professional. I know the thought of going to work at Disney World is a very exciting, but they don't want to hear all about how you've always wanted to be a Princess and that Disney World is your dream blah blah blah. Passion is one thing, but remember Disney is still a professional business so don't go OTT. Now I have to say, these were much more nerve wracking than the group interview. My face to face interview for my second program made me so nervous, I completely forgot all of my prepared answers and thought I'd completely blown it. Saying that, some people thought they were fine, so don't panic. These interviews are going to be with people from the International Recruitment Team at Disney, so you're looking to impress. Don't be alarmed if your interview is very short and to the point. Every recruiter has a different style. Some last as short as 5 minutes and 3 questions, others are more about 15 minutes. 1. Do your research. Like I said above, Disney is a professional company so do your research like you would for other jobs. For my first interview, I found out about Disney's Four Key Basics and said how I'd implement each of those into my time working as a Cast Member. The interviewer was impressed I'd done that much research, so it's definitely worth it. 2. Look presentable. Disney are very particular about how you're presented. Try and stick as close to the Disney Look as possible and wear smart casual clothes. 3. Find your location. Unless it changes, your interview will most likely be at Disney HQ in Hammersmith, London. If you're not used to London, make sure you know exactly where it is for the morning of your interview. It might be worth meeting up with others beforehand, there's normally a Facebook group each year so have a search! 4. 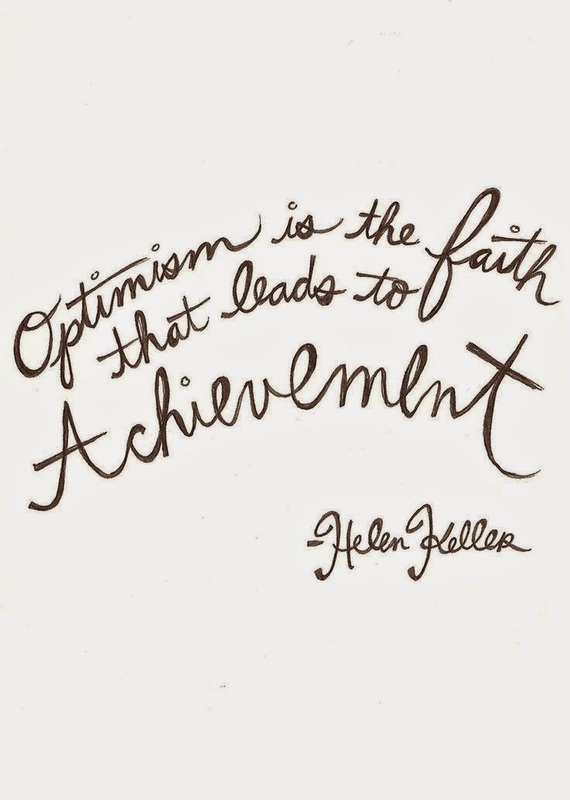 Know your strengths. The recruiters are most likely to put you in a role depending on your past jobs. I've only ever worked retail, so I ended up in merchandise both times. If you're worked in Food and Beverage roles, you're likely to end up in Food and Beverage roles. However, if you really think you'd be good at another role let them know. Sell yourself well enough and you never know what might happen. 5. Be Flexible. Following on from the above point, remember they're looking for flexibility too. The less picky you are, the more likely they'll find a role for you. I'd still suggest clearly stating what you want to do, but don't make them think it's the be all and end all if you don't get that role. 6. Finally, smile. You're being interviewed to work at Disney. When you're "on stage" you're representing Disney, so keep that smile up. It'll be good practice for when you get an offer! The questions they ask seem to depend on who you have interviewing you. I had Jill Jacobsen who asked the standard questions such as why you want to do the program, what you're looking to achieve from your time at Disney, what role you want to do and why and also what past work experience you've had. They'll also ask you a few general questions such as if you think you'll cope ok in the Florida heat and humidity and if you're willing to abide by the "Disney Look". Those of you who have done the program before, they ask pretty much the same questions, just tailored towards why you want to return and what you'd do differently this time round. Smart casual is the way to go for these interviews. Girls, smarter skater dresses, a nice blouse and smart trousers. Guys, most guys wore a nice pair of chinos, shirt and brogues. For my interviews I wore a smarter style, black skater dress, tights, a pink blazer and plain flats. If it helps, for my first ever group interview in 2012 I went to the interview on a whim after seeing the application presentation (the process has changed slightly since then). It was one of those times at uni where I desperately needed to laundry so I was wearing the most casual mis-matched outfit ever and I still got through to the next round. Of course I don't suggest you just go in jeans and a t-shirt, but what I'm trying to say is they're looking more at your personality and enthusiasm than your dress sense. Don't stress too much. Also, it's going to help if you stick to the Disney Look, especially for your second interview with Disney recruiters. Ladies, natural coloured hair and not plastered in make up. Gents, clean shaven or fully grown beard and traditional hairstyle. Whilst we're talking about Disney Look, don't lie about any tattoos/piercings you have. They aren't going to not hire you just because you have a tattoo (as long as they can be hidden). Several of my friends had tattoos and even one of my managers had full on sleeves and a chest piece. So long as they're hidden you'll be fine, they'll just put you in a position where the costume can hide them. Now I also feel the need to say a few things at this stage. Some people go in with the mindset that working at Disney is going to be like a fairytale. Remember it's a real job and essentially, as harsh and unmagical as it sounds, as an ICP/CEP you're just extra staffing for Disney's busy summer period. Guests have very high expectations whilst they're at Disney World and it's your job to fulfil these expectations. You're going to be very busy, it's going to be very hot, you'll be working long hours and potentially working until/starting in the early hours of the morning. It's also going to be expensive. You're probably going to be spending close to the £2000 mark once you've factored in flights, transportation back and for to interviews, visa payments, program fees, spending money and all those new summer clothes you'll definitely buy. Make sure you're going to be able to afford this, some people really struggled to make payments and wished the expenses were emphasised more. Finally, if you're lucky enough to get offered a position, don't get put off if it's not the role you want. I've never met anyone who hasn't really enjoyed their role, even those in the less "glamourous" positions such as custodial and Quick Service Food and Beverage. Remeber, you'll be living at Disney World. Some people would do anything to do what you're doing. The cast members you work with and guests you meet will make your job way better than you expect and you'll soon realise there's pluses and minuses to every role. Despite all of this, it'll be 100% worth it and the best summer you've ever had. You're working at Walt Disney World, spending your days off at the parks, attending housing events, visiting the beach and meeting amazing people from all around the world. Once you're home you'll really wish you were back. Feel free to email me/leave a comment if you have any other questions on any part of the process. Carrying on with my now very delayed Great British Bake Off posts, I decided to make some entremet. 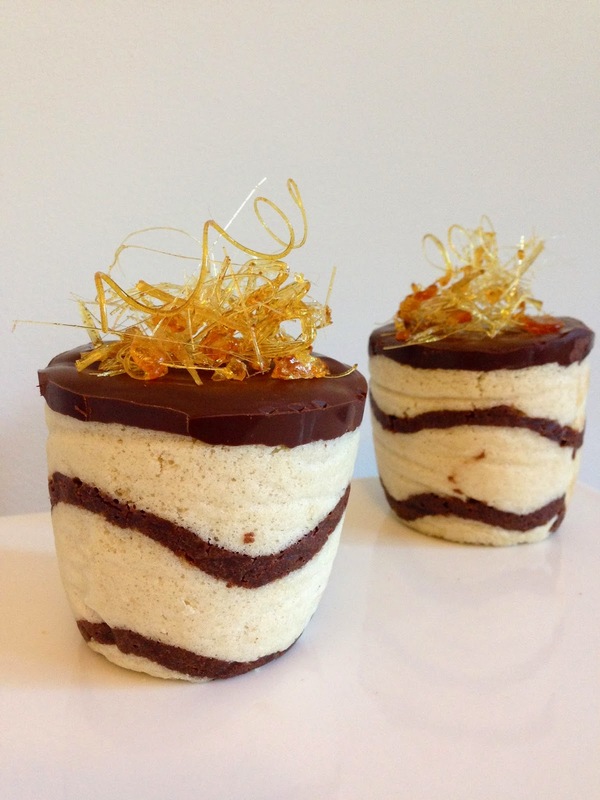 Definitely not something to bake if you're in a rush, but fun to make throughout the day, as you're able to get things done whilst everything is baking or setting. I hunted around a found a few recipes and combined them to make my recipe. 2. Gradually add in the egg whites. Beating continuously. 3. 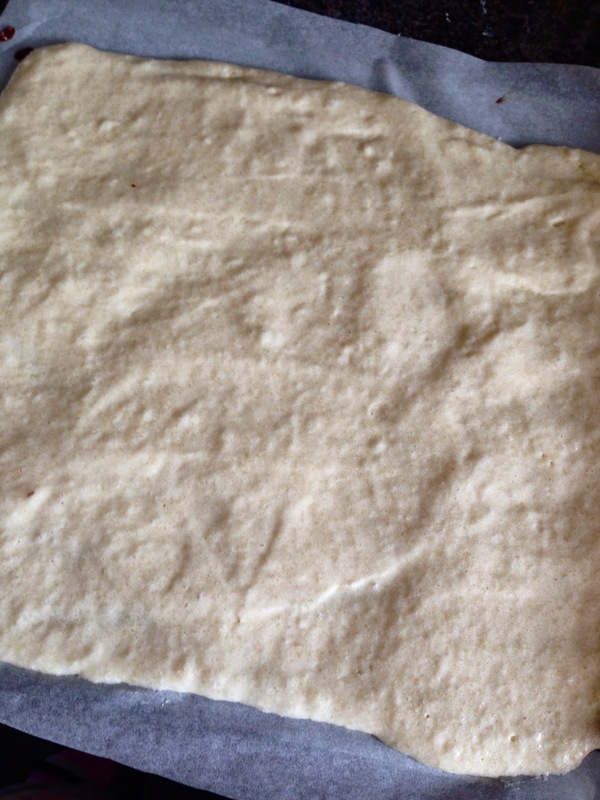 Fold in the sifted flour and cocoa powder. 1. In a mixing bowl, beat the egg whites and sugar until they form glossy peeks. Put to one side. 2. Sift ground almonds, icing sugar, and flour. 3. On medium speed, add the eggs (not those egg whites yet) a little at a time. Mix well after each addition until smooth. 4. Fold in one third of the whipped egg whites to almond mixture. Fold in remaining egg whites. Do not over mix. 5. Fold in melted butter and put the batter to one side. 1. 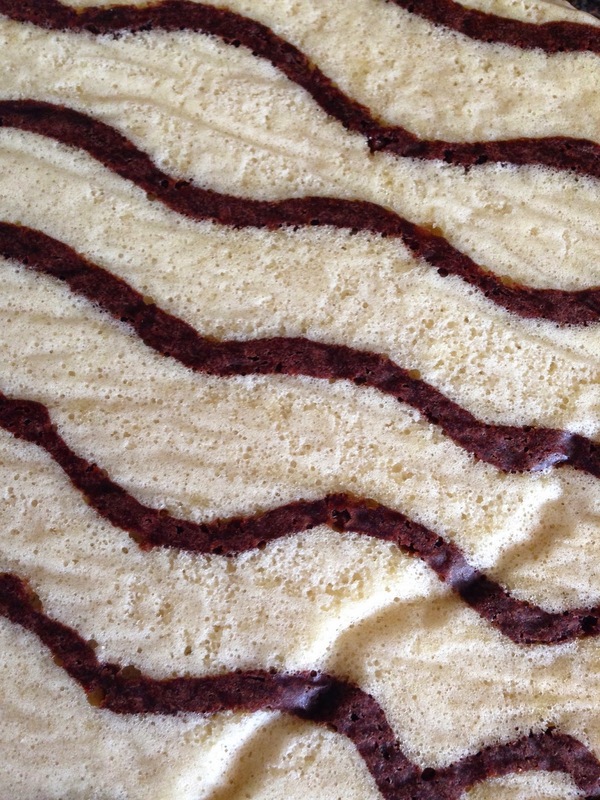 Pattern the joconde paste on a baking sheet. 2. Put the paste into the freezer for about 15 minutes until frozen hard. 3. Remove from freezer and quickly pour the Joconde batter over the design. 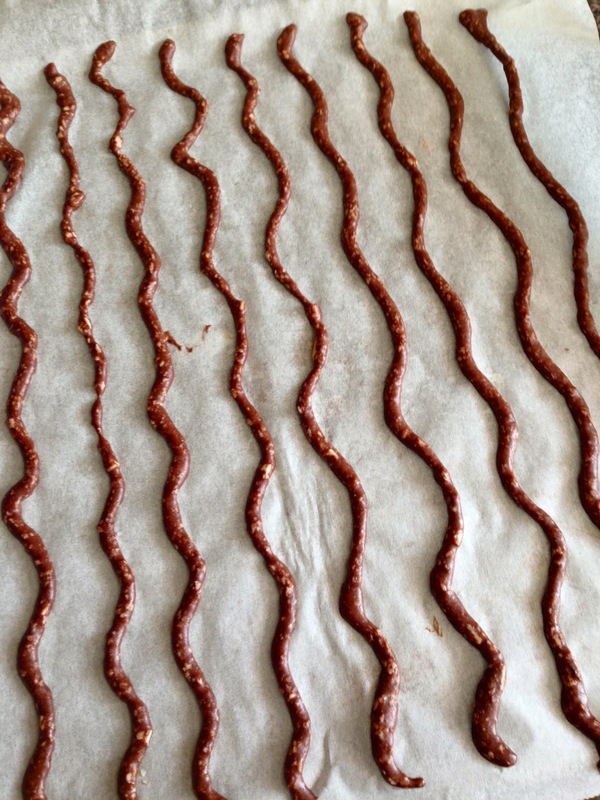 Spread evenly to completely cover the paste pattern. 4. Bake at 220C for approximately 7 mins, until the sponge bounces back when slightly pressed. 5. Cool. Do not leave too long or it may get stuck. 6. Flip cooled cake on to parchment paper dusted with icing sugar. The cake should be right side up, with the pattern showing. 7. Cut in measured strips then place inside your mould. 8. With remaining cake, cut circles and use to line bottom of the mould. 9. Time to make the chocolate mousse. 2. Stir in the butter, brandy and egg yolks one at a time and mix until combined. Set aside to cool a little. 10. 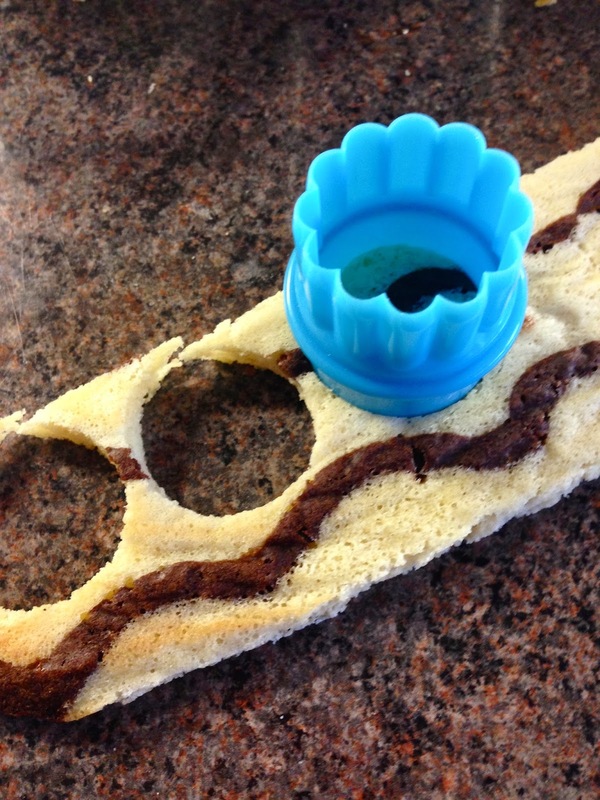 Pipe chocolate mousse into the mould until about 3/4 full. 11. Place in fridge until set. 12. Pour a layer of dulce de leche. 13. Fill remainder of mould with chocolate mousse. Place in fridge to set. 14. 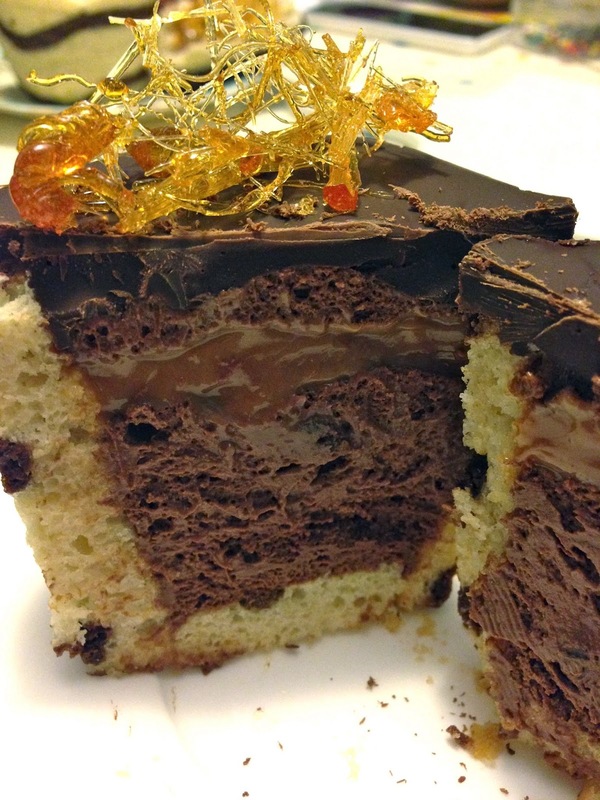 Cover to the top of the mould with melted chocolate. Place in fridge to set. 15. Make or choose decorations for top. Decorate once fully set. Ever since I did the London Marathon back in April, I seem to have caught a bit of a running event bug. There's something about them. The prep the night before, the excitement and anticipation at the start, seeing so many people lining the street to cheer on friends, family and complete strangers. Not to mention the medal, t-shirt and goodie bag at the end. So a few weeks ago, I signed my friend and I up to run the Cardiff Half. 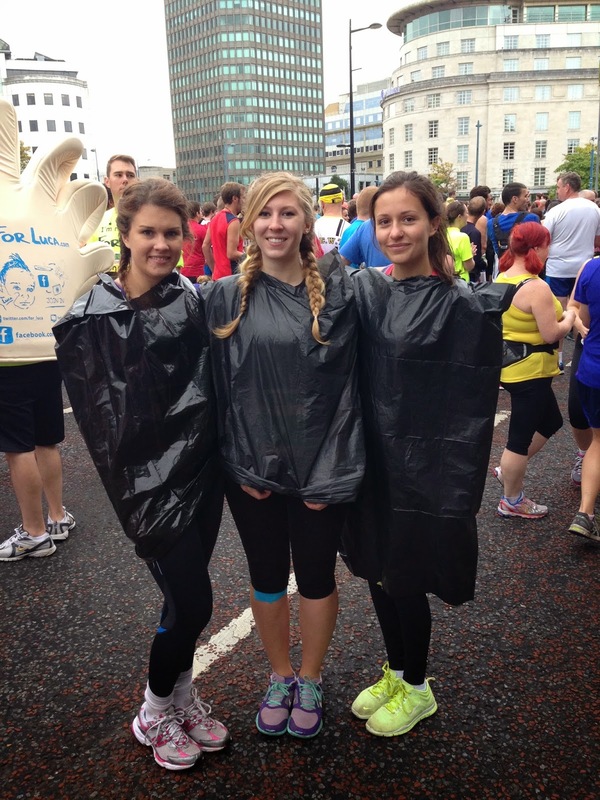 Looking lovely in our bin bags, pre-race. Now in hindsight this may have been a bit silly, as aside from two 3 mile runs and Survival of the Fittest last weekend I have done no running at all since the marathon. As a result, I'm currently sat with a bag of ice on my knee, because as expected when you have dodgy knees already, they aren't a big fan of suddenly having to run 13.1 miles. I definitely do not regret it though. 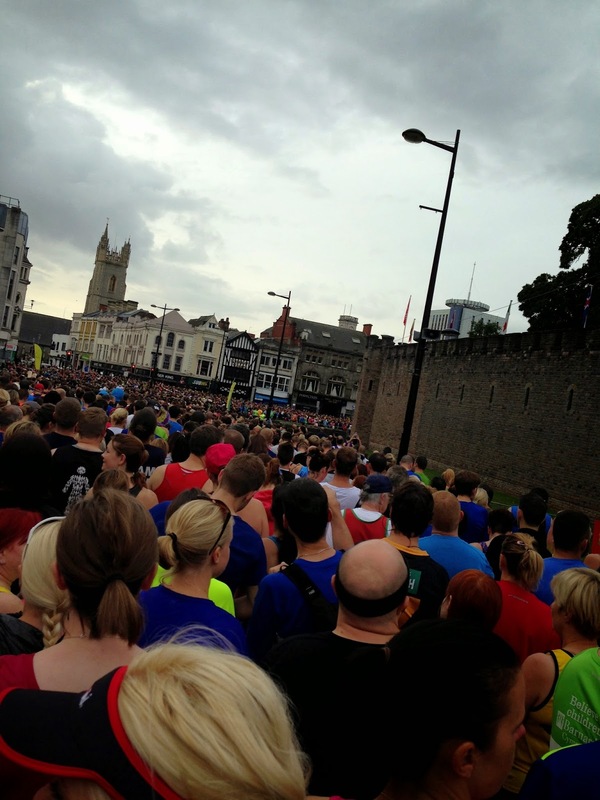 Although the atmosphere didn't compare to London, it was still great to see so many people lining the streets and to run through some lovely parts of Cardiff. I'd especially like to mention the great hen party and their amazing rendition of Circle of Life and Wonderwall. Made me smile. Also loved seeing all the residents of one of the nursing homes on route wrapped up in their blankets and waving their Welsh flags. Cute. I crossed the line about half an hour after my expected time, but with no training and the knee I was happy! Although this happiness was short lived, when I had to walk through the horror that was some kind of mushy banana graveyard. Anyone that knows me will understand this is my idea of hell. As this was my only gripe from the whole event, I'm sure I'll let them off. Registration is open now for next years event if anyone wants to begin training early! 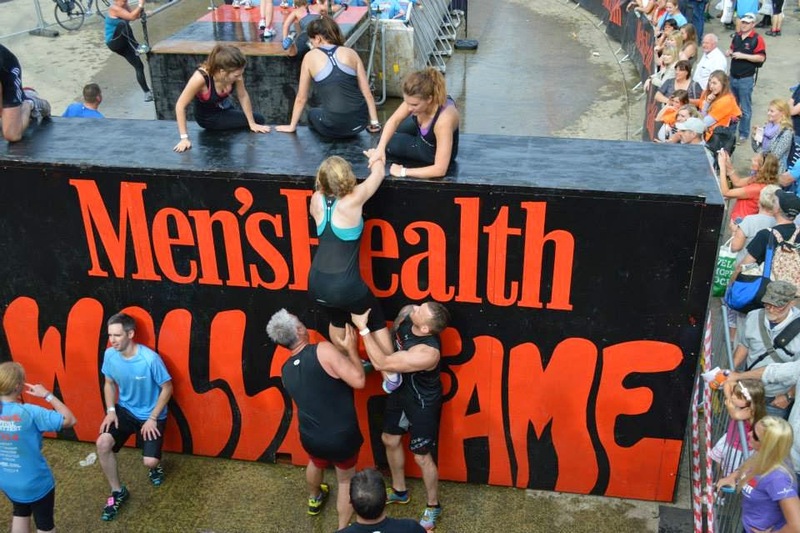 Last weekend I took part in the Men's Health Survival of the Fittest event in Cardiff. This was my second year taking part and had just as much fun as last year. 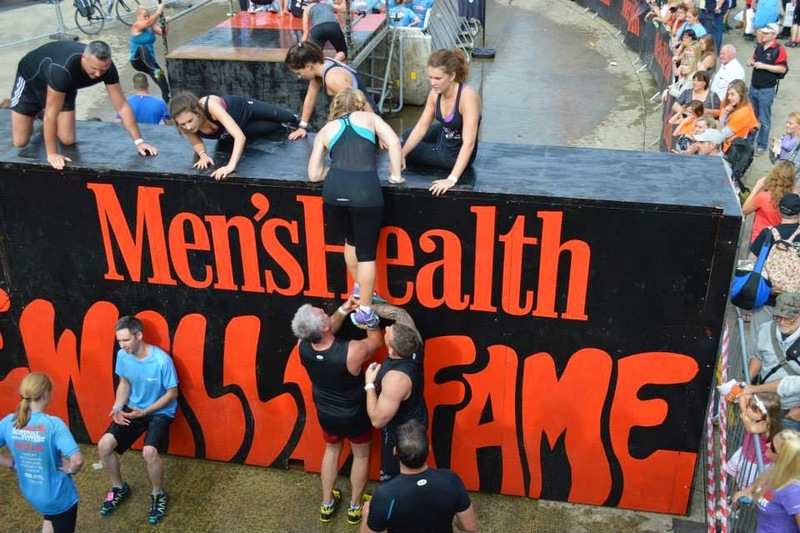 For those of you who haven't heard of SOTF, it's one of those Tough Mudder type events which are popping up all over the country. 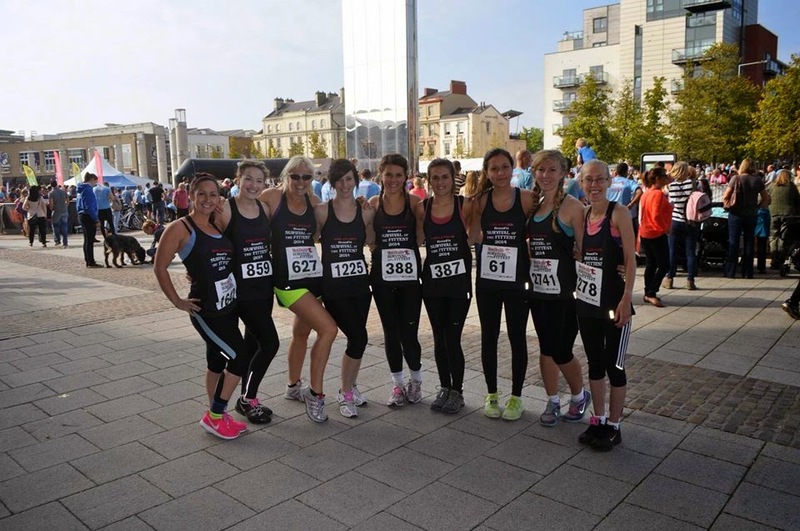 A 15km course around Cardiff Bay with obstacles every few kilometres to add to the fun! 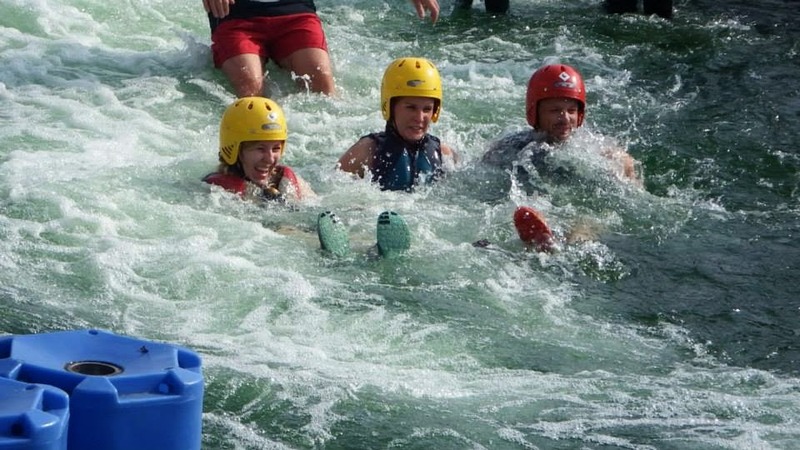 This year had the inclusion of the water sports centre, which was definitely the highlight of the course for me! 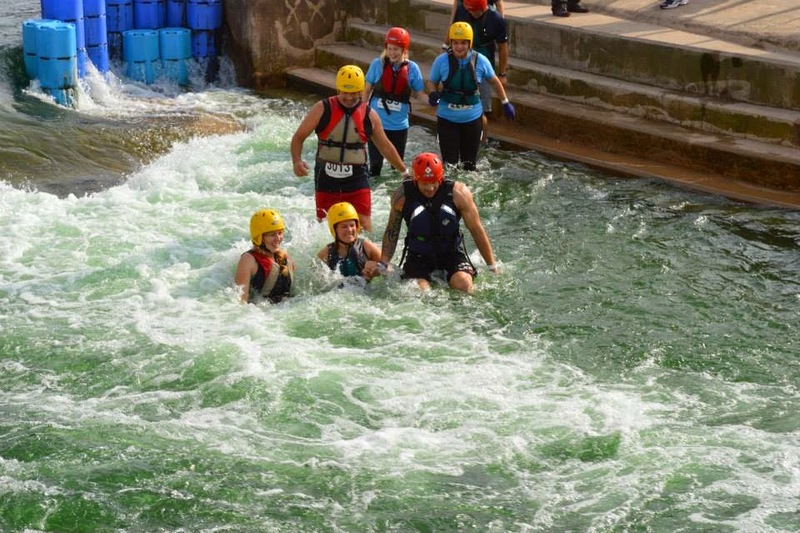 If I could have just gone up and down that white water the whole time I'd have been happy. Even though there were a few times where the event manager in me was screaming, it was such a fun morning. 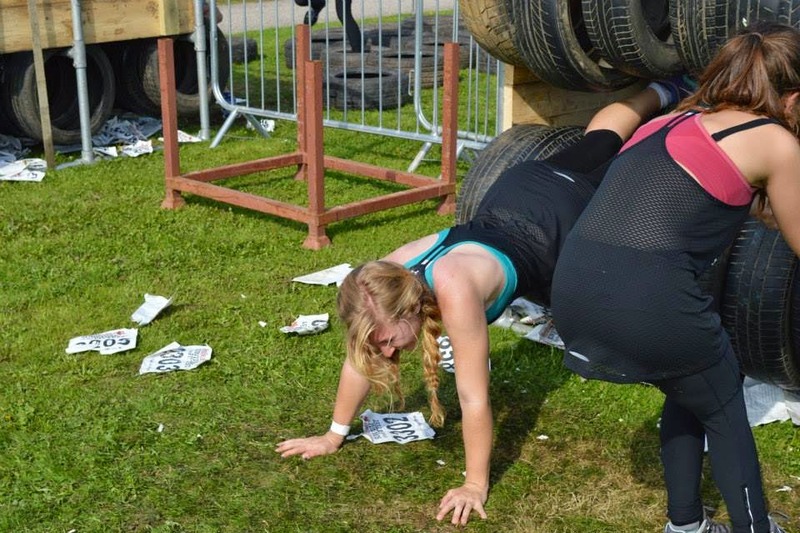 I'd definitely recommend it to anyone who wanted to take part in an event like Tough Mudder, but aren't quite up to the electric shocks and pools of ice quite yet. "Don't feel guilty if you don't know what you want to do with your life. The most interesting people I know, didn't know at 22 what they wanted to do with their lives. Some of the most interesting 40 year olds I know still don't." I'm currently in one of those "oh my goodness, what am I going to do with my life" freak outs. I've been back from America for just over a month now and it's been a whirlwind of laughing, crying and every emotion in between. I've been over thinking this week, which seems to be a skill every girl possesses but wishes she didn't. As a result, I've spent the vast amount of this past week either in tears or rather down in the dumps. Apologies to my friends and family for having to put up with this! As predicted, I think I've ended up with PUD (Post University Depression). Is anyone else who's currently an unemployed graduate suffering from this, or is it just me? Seeing so many of my friends with 'real life jobs', combined with me not really 100% knowing what I want to do with my life was starting to get to me. During my job searching, I was having a browse of the Ampersand website and started reading the "60 Seconds with Chloe Martin" piece. It was here I was reminded of Baz Luhrmann's "Everybody's Free to Wear Sunscreen". Whether you're having a bad week like mine or not, I'd definitely recommend having a listen.